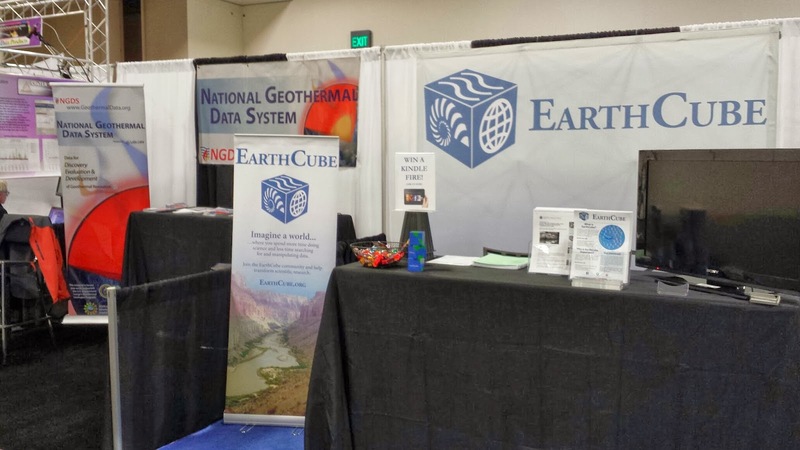 AZGS is at the Fall Meeting of the American Geophysical Union in San Francisco this week, showcasing our work in a number of areas, but especially the NSF-funded EarthCube and DOE-funded National Geothermal Data System projects. Our formal activities include two exhibit booths, hosting two town halls, and 5 presentations. We have a variety of working meetings with partners and subcontractors on our projects as well as sitting in on getting briefings on related projects. Attendance will be >22,000, making it the largest geoscience event in the world.